Among its beautiful scenery of nature's Mt. Apo (The Philippines' Highest Peak), Central 911 (World's 3rd Vicinity who uses centralized Emergency Telephone Number next to Canada and United States), Philippines' National Bird Sanctuary for the Philippine Eagle, Durian fruits (The King of fruits which is said to have "Smells like Hell, Tastes like Heaven" characteristics), former Mayor Rodrigo Duterte which is now the Vice Mayor of Davao City- Time Magazines' "The Punisher" which the city's crime rate dropped dramatically that tourism organizations in the city claim that Davao is "the most peaceful city in Southeast Asia" according to wikipedia.com, Davao also offers its well-developed High Ridge - The Jack's Ridge Resort and Restaurant. 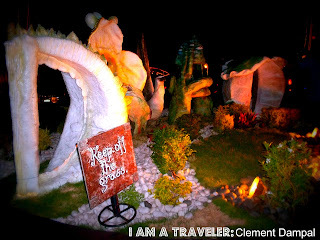 I had given the opportunity to visit and experience Jack's Ridge in Davao City during our tour last September 20-24, 2011. What is nice about this place is the panoramic setting which is really a worth-watching experience. I myself, never imagined that Jack's Ridge is indeed a panoramic site. 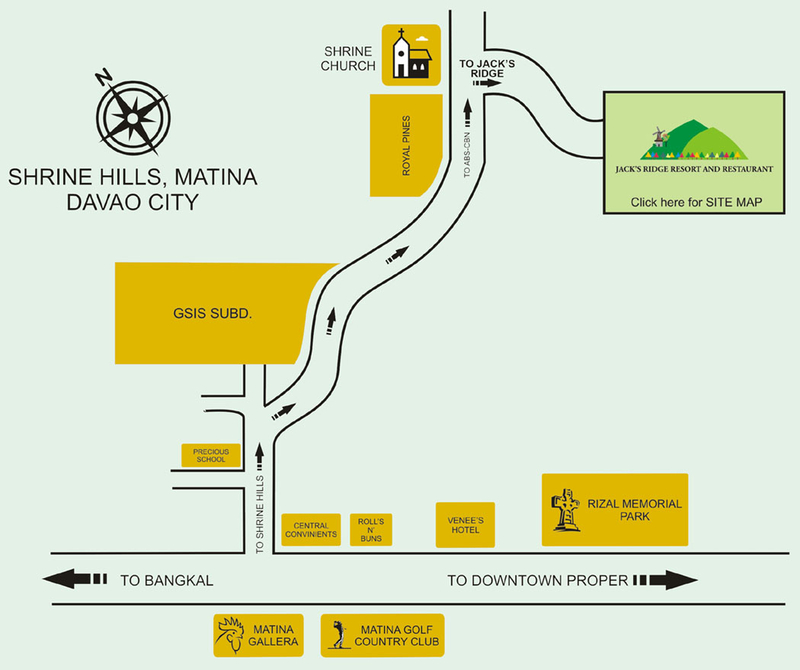 Jack's Ridge Resort and Restaurant is located in Shrine Hills, Matina Davao City 8000 Philippines. 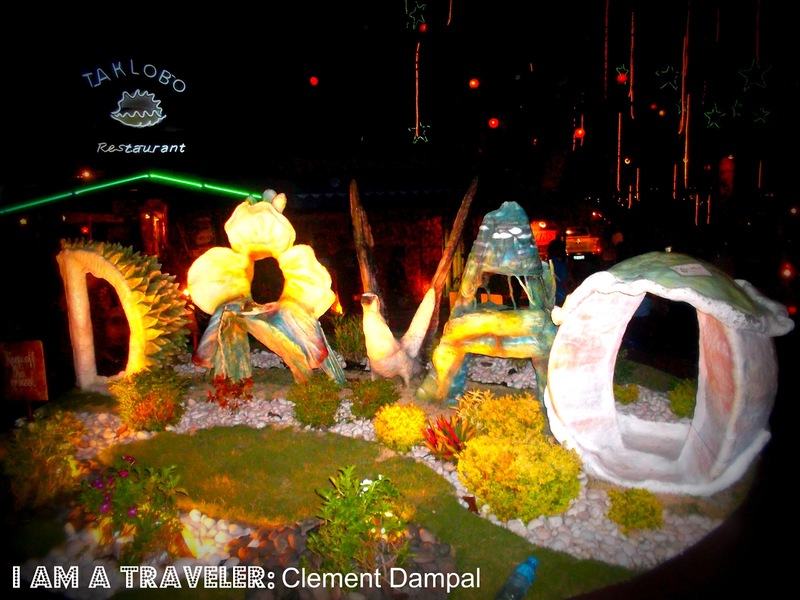 The place is owned by Jack Mercado according to Jojo Estrella (The best tour guide in Davao City). Jack's Ridge houses plenty of its well-known grill and restaurants. - If you're craving for a real satisfying meal, Jack's Ridge main restaurant is just where you should be. 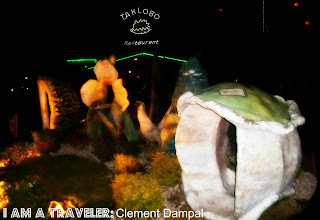 With a wide array of delectable dishes, Taklobo Restaurant will surely make you come back again. The main restaurant offers Dabawenyo cuisine famous the world over. There's grilled tuna, chicken and pork, kinilaw, sinigang, and other dishes that are sure to satisfy even the most discriminating palate. Wash it with beer or have some fresh pomelo for dessert. - The mountains echo with the sounds of the best bands in the city as they perform fabulous and energetic number here nightly. Dance the night away or simply listen with friends Hobnob with other party animals who have made Kai's Bar the favorite party place. They're all here, drinking and dancing until the break dawn. 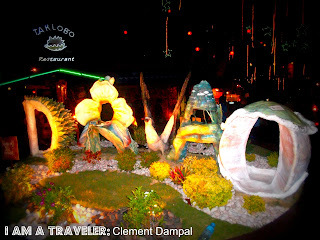 - Simply this is a great place to dine with your friends and family. A chic restaurant that serves fusion of French, Italian and some Mexican dishes. Take your pick from apperizer to dessert and have a cup of your favorite coffee; White Chocolate Mocha, Cappuccino or the house specialty, Karloccino. Enjoy it all in the cool ambiance of glass walls, warm lights and spectacular view. The land on which Jack's Ridge now stands once formed part of the headquarters of the retreating Japanese forces towards the end of the World War II. The Americans had landed in Davao on May 1, 1945, forcing the Japanese to beat a path to Matina Hills where they had a commanding view of the Davao Gulf where the American ships were anchored. Fierce fighting soon erupted between the two forces, and as histroy shown us, the Japanese lost. Today, more than a half century later, Jack's Ridge is filled with reminders of its historic past. Caves dug by the Japanese pockmark the area, and once in a while people still find bullets and other war material in the rocky soil. 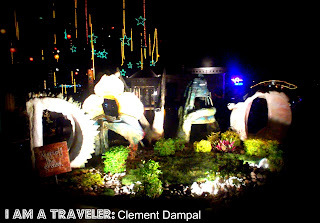 There is also talk that hidden somewhere in the caves are gold bullions and other treasure that the Japanese had taken from other countries and brought to Davao. Whatever the truth is about the treasure, Jack's Ridge maintains the feature that made it an important outpost for the retreating Japanese forces, a commanding view of Davao City and the Gulf, the same view within the premises is also refreshing, since the owner has made is mission to preserve the natural beauty of the place. Jack's Ridge was built to offer a completely new experience to diners, and it's not over yet, more developments are under way to make it the premier dining resort in Davao City. Indeed, Jack's Ridge is making its own mark in Davao City's history.